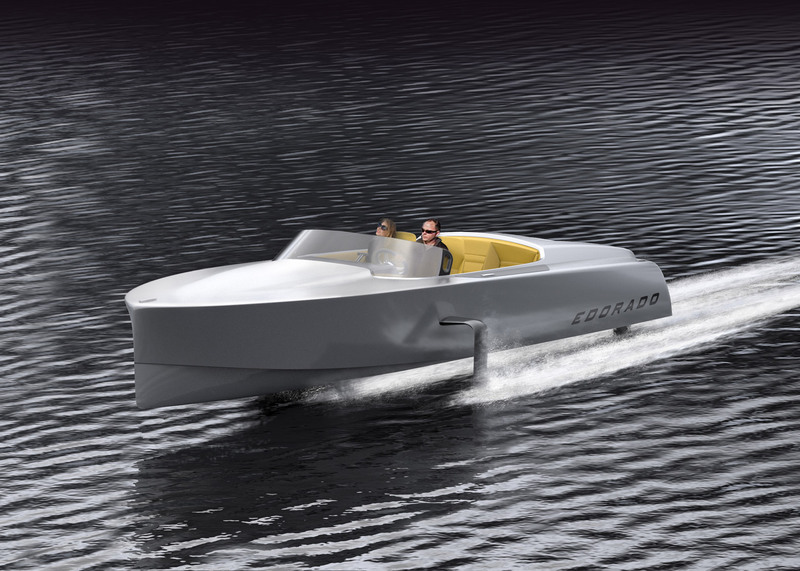 New Dutch company Edorado Marine is aiming to become the Tesla of boating, with a design that it claims will make high-speed electric boats more affordable and reliable (+ slideshow). 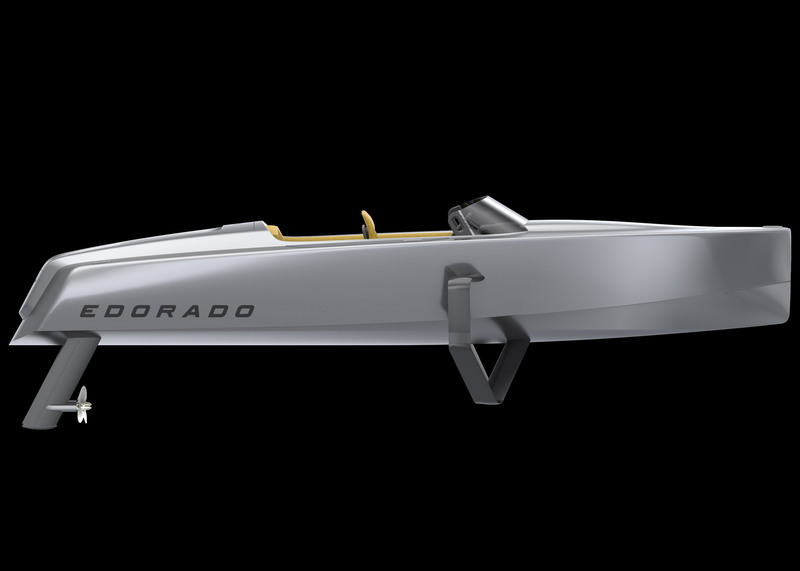 The Edorado 7S will be powered by an all-electric system, combined with hydrofoils – blades that project into the water and help reduce drag by lifting the vessel as it speeds up – to make the boat more efficient. According to the team behind the design, this will allow it to travel at speeds of up to 40 knots (74 kilometres per hour). Traditional commercial speedboats can travel at around 40-45 knots on calm waters. 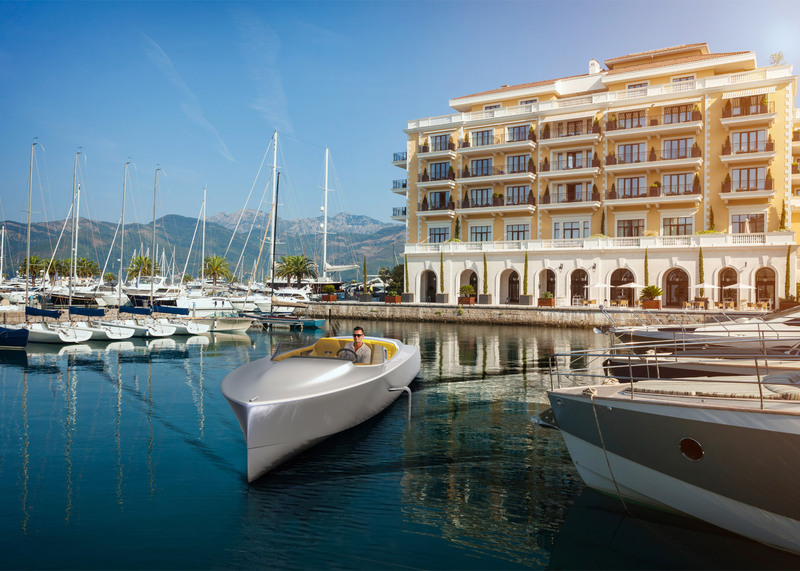 Edorado Marine intends for the boat to be the first in a fleet of designs that aim to make electric boats a faster, more reliable and more cost-effective option for consumers – echoing similar efforts around the development of electric cars and aeroplanes. 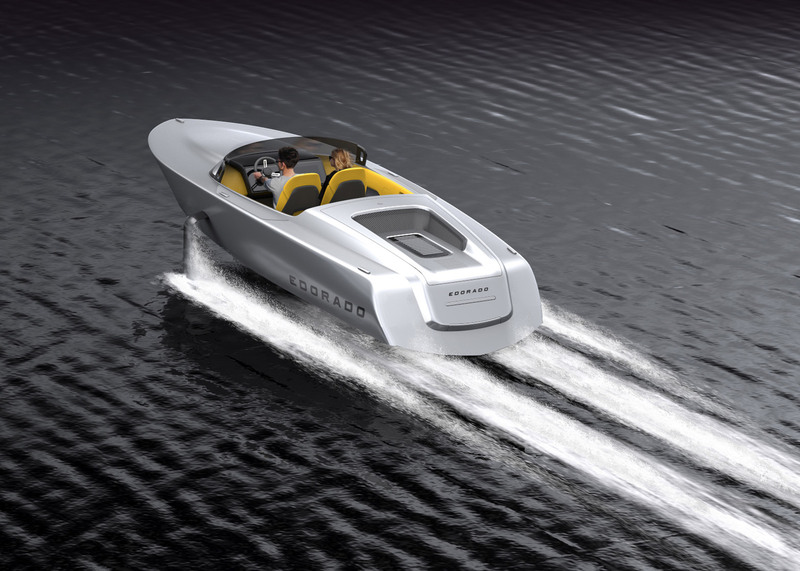 "Current fast electric boats are too expensive and inadequate," said Edorado Marine. "We at Edorado are certain that only foil-electric boats will achieve the goal of affordable fast electric boats with good range." The Edorado 7S will be powered by a rechargeable battery hooked up to two motors that drive the twin propellors at the rear. The company says it will have an 80 kilometre range on a single charge if cruising at around 25 knots (45 kilometres per hour). Range and power have been the biggest challenges for electric speedboat designers. But Edorado Marine believes its "electro-foil" combination will help it overcome these issues. It has created its own unique hydrofoil arrangement as part of its design, with a blade that wraps around the side of the hull towards the prow. This also gives the boat a wider profile, making it more stable. "The hydrofoil design minimises the required power-up to 40 knots," said the Edorado S7's designer Tom Speer, a former competitor in the America's Cup. "It is stable in pitch, heave and roll, so the boat's safety doesn't depend on an active control system, which would be complex, redundant and expensive." Hydrofoils are wing-like blades that usually sit underneath a boat's hull on struts. They cut through the water as the boat speeds up, creating an uplift – similar to the aerofoils used on aeroplanes. As the boat travels faster, it lifts higher, reducing drag against the hull and the amount of power needed to sustain its speed. Edorado Marine is not the first to use hydrofoils in electric boat design. In 2014, a group of Slovenian engineers used hydrofoils to create a small electric catamaran that could reach speeds of up to 40 kilometres per hour. Interest in electric transport is increasing, and a shift to electric power in speedboats would mirror the car industry, where battery-powered vehicles by brands including Tesla are gaining ground. Paul Priestman, co-founder of London transport design studio PriestmanGoode, also told Dezeen that advances in electric motors could see jet aeroplanes replaced by battery-powered craft, ushering in a new era of personalised electric flying machines. 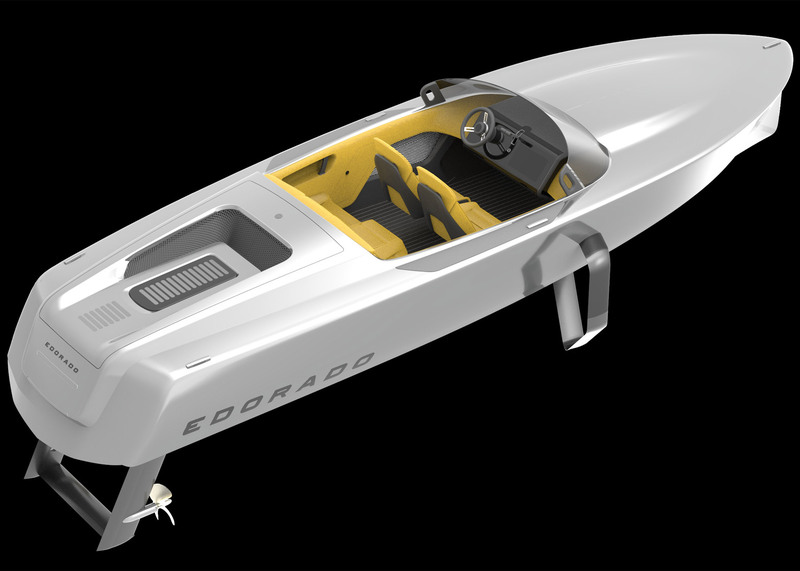 The Edorado 7S is the product of a two-year project by a multidisciplinary team of designers and engineers. A minimal approach was taken with the aesthetic elements of the boat, which is 7.15 metres long and features a silver exterior contrasting with yellow leather seating. It includes a touch screen dashboard, with a built-in navigation system. 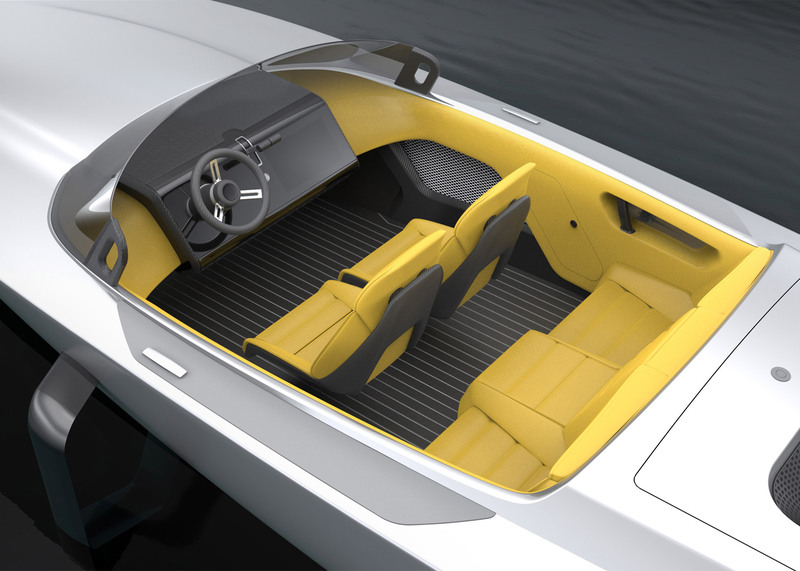 "Applying advanced technologies and clever design has produced a fast electric sport boat that finally delivers the performance the market demands," said partner Scott Ruck. "The Edorado 7S is not just a new boat, it's a whole new boating experience." Although not currently on the market, Edorado is taking preorders for the Edorado 7S, and is preparing for the construction of its first production series. 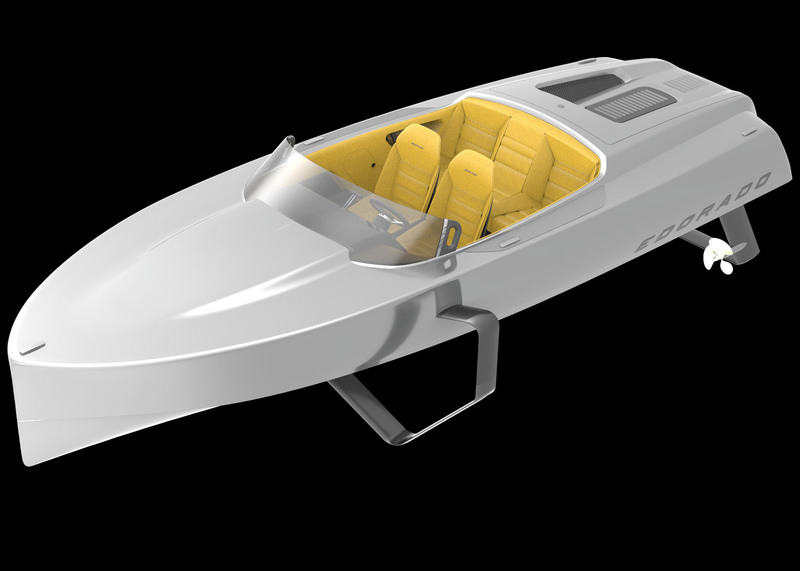 The fastest all-electric speedboat to date is the The Cigarette AMG Electric Drive Concept – a one-off concept speedboat created by car company Mercedes-Benz and racing brand Cigarette Racing in 2013 that could reach 160 kilometres per hour (86 knots). Rather than using hydrofoils, this relied on an electric drive train originally developed for the Mercedes SLS AMG Coupé Electric Drive, one of the most powerful electric cars in production.